Look, I wanna be mad at Mel Gibson and I am. But just like I'm mad at Tom Cruise and still go to his movies, I love Gibson's acting and I'm usually curious about what he's doing. Blood Father looked like a callback to what Gibson does best: playing unhinged heroes with a lot to lose. In this case, he's an alcoholic ex-con with a lot to apologize for who's too far beyond redemption, but would settle for some peace in his later years. That goes out the window though when his estranged daughter calls him out of the blue in desperate need of money and help. When he offers it, he's pulled into a nasty situation with violent consequences. I like that Gibson's character is drawn back into the criminal world, but he doesn't just settle in like he's always been there. He's old and weary and every step of the way it's clear that he's making sacrifices for his daughter. 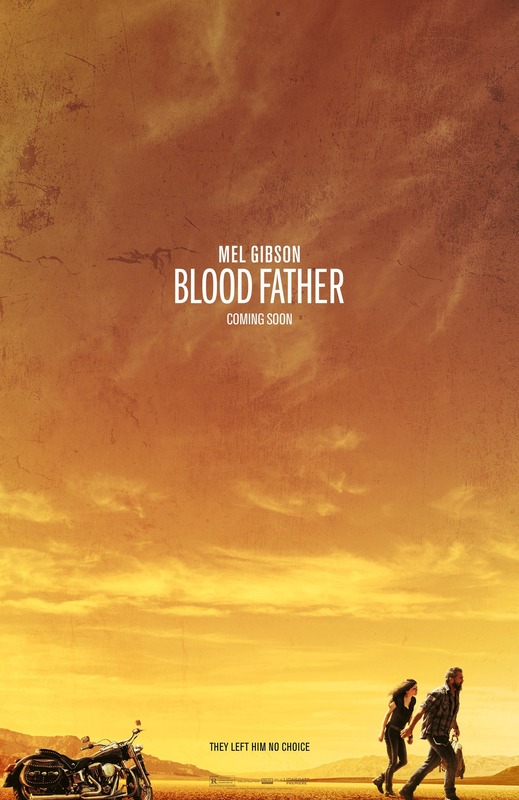 As the title gives away, it's a movie about parenthood that uses violence and crime to accentuate the extreme love that Gibson's character feels for his daughter. I liked it a lot. I didn't make it to the theater last week and even if I had, the live action remake of Disney's Beauty and the Beast is more a curiosity than a must-see. But I've had this French version on my To Watch list for a while and by sheer coincidence it made it to the top just as the new one's coming out. 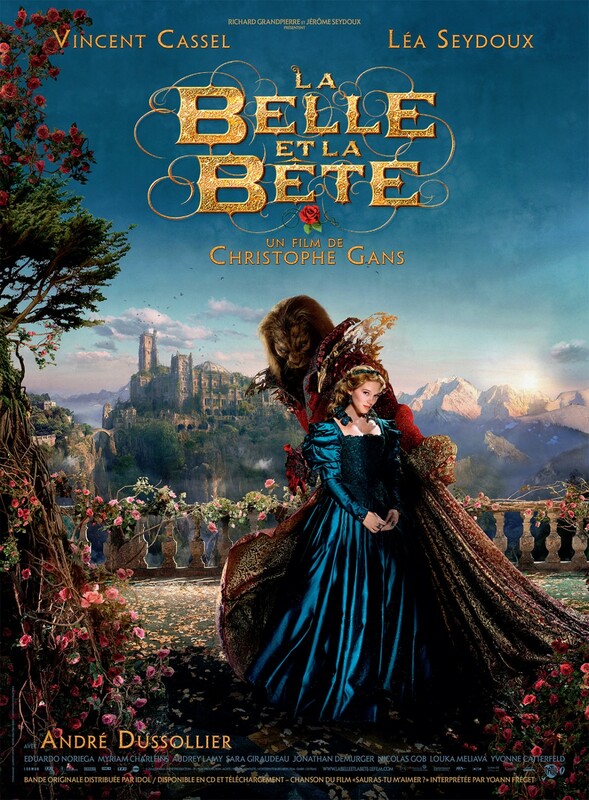 I've talked before about what I really like in this story, so any new interpretation has my attention, but I also totally dig Léa Seydoux (Mission: Impossible - Ghost Protocol, SPECTRE) and was attracted to the idea of seeing a French version of this French fairy tale. Also, the visuals are lush and imaginative. It is an imaginative take on the story, but I was disappointed by the quality of the CG effects that are never quite believable. 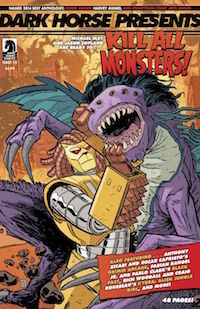 Some of the story changes are good (I love the explanation for why and how the Beast got to be the way he is), but others just seem like excuses for some over the top effects (that again, aren't that spectacular anyway). 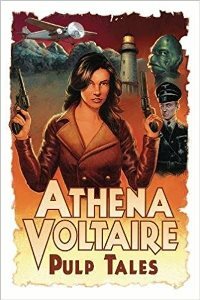 It's a worthwhile version of the story, but unfortunately not going to become a favorite one for me. Absolutely miserable. Didn't even finish it. I was warned, but you know what? "Nice job" to whoever put together that trailer. You got me. The trailer has fun music and cuts clips together in a way that looks like actual humor. The movie does none of that. It's dumbed down to five-year-olds and reminded me of an amateur Sunday School puppet show. Glad this was a Netflix DVD and not something I paid money to watch. I kind of gave up blogging about my British History in Film project. I'd like to get back to that. But I haven't given up actually watching the movies. I left off blogging about Edward II, but since then I've watched the mini-series World Without End (2012) that deals with fallout from the events of Edward II (as well as the Black Plague) and started The Hollow Crown, another TV series from 2012. The Hollow Crown is a great idea. It presents Shakespeare's Henriad tetralogy as a complete story, using as many of the same actors from play to play as possible. Ben Whishaw (Q in the current Bond films) plays the tragic Richard II who's usurped by Rory Kinnear's (Tanner in the Bond movies) Henry IV. Jeremy Irons plays the aged Henry in Henry IV, Parts 1 and 2 with Tom Hiddleston as his son, the questionable Price Hal. At first, I wasn't sure how Richard II fit thematically with the other plays (other than just showing Henry IV's rise to power), but then Shakespeare helped me out with a line of dialogue explaining that IV is so worried about Hal because he sees in Hal the same traits that made IV want to take Richard's crown in the first place. It's a powerful story about fathers and sons, but also about duty and responsibility. 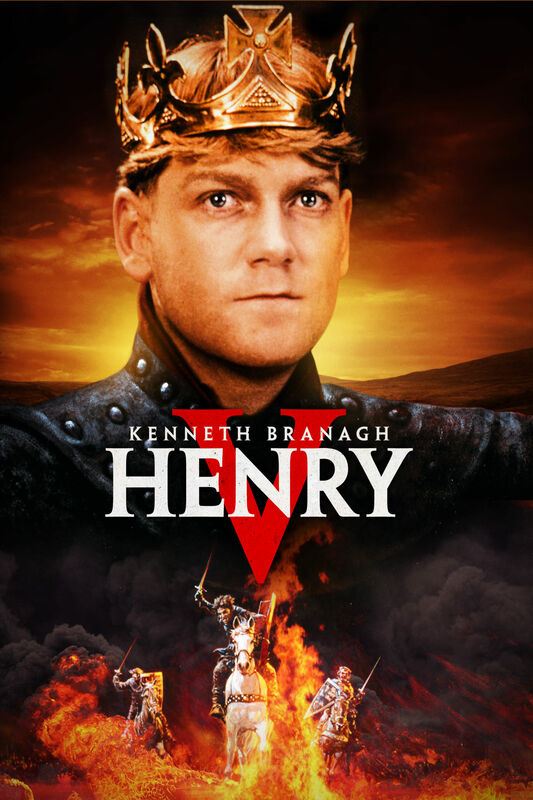 Before I watch the Hollow Crown version of Henry V, I wanted to revisit Kenneth Branagh's version, which made me realize nearly 30 years ago(!) that I actually could enjoy Shakespeare's history plays as much as I did Hamlet and A Midsummer Night's Dream. I've seen it countless times, but not recently, so it was great to see it again and especially fun to rewatch it now with all the backstory of the earlier plays finally in my mind. Branagh includes some scenes from those plays in Henry V as flashbacks and it was also cool when I watched those plays to recognize where I was for a moment. Branagh's Henry V is still powerful and funny (so funny) and I'd forgotten how stirring Simon Rattle's score is. I used to have the soundtrack somewhere and need to find it again or rebuy it. Anyway, looking forward to seeing how The Hollow Crown interprets it now. I'm on a huge Zorro kick lately and it's because of this show. I'm about halfway through the 39-episode first season and it is so awesome. 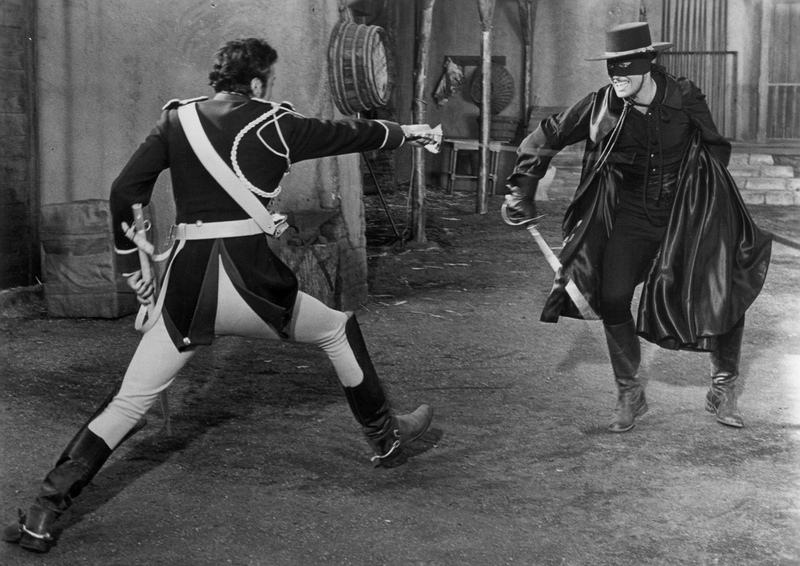 Guy Williams is the definition of swashbuckling and perfectly plays the balance between dashing Zorro and passive Don Diego. Gene Sheldon is also delightful as Diego's mute manservant Bernardo and Henry Calvin is a joy as the good-hearted, but wrong-sided Sgt. Garcia. I expected most of that, having watched an episode or two as a kid, but what I'd totally forgotten was the amazing sets and matte paintings. Disney threw some real money at this and created a wonderful fantasy landscape for southern California with all kinds of great cliffs and passes and skull-shaped mountains. And I had no idea that the storytelling was so 21st Century. Each episode is more or less self-contained, but they also connect and build on each other to tell longer stories. The first 13 episodes pit Zorro against the ruthless Captain Monastario and I was shocked when he actually succeeded and that storyline ended. Then, just as Zorro's thinking of retiring, a new enemy shows up in the form of a secret society that uses eagle feathers to communicate. I'm in the middle of that story now and loving every minute of it. It's got me wanting more Zorro, so I've been reading The Curse of Capistrano, the original Zorro story by Johnston McCulley that was serialized in All-Story Weekly. I'll report more on that later, but I'm very much enjoying it so far, too. It's briskly written and I'm surprised to be over halfway through without seeing one mention that Don Diego and Zorro are the same person. Once I finish that, I'll make a project of rewatching my favorite Zorro movies. This year is the 25th anniversary of Young Indiana Jones, so I decided I should probably finally watch the whole thing. I was a fan back in the day, but its sporadic schedule made me miss a bunch of episodes and I finally just gave up. The DVD collection (which is what's on Amazon Prime for me to watch) has Special Editioned them, but I don't really mind. They've taken out the framing sequences with the 90-year-old Indy and I'm kind of sad that those aren't available for me to watch if I want to, but I also didn't especially like them. And I do really like that the episodes are reorganized into chronological order instead of jumping around between 10-year-old and teenaged Indy. David asked me if I recommend the show and I don't know that I do. Not unconditionally anyway. 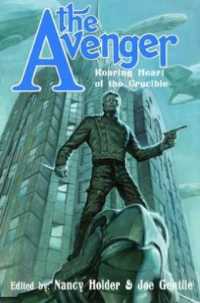 I'm enjoying it, but it's very different from the adventures of Harrison Ford. 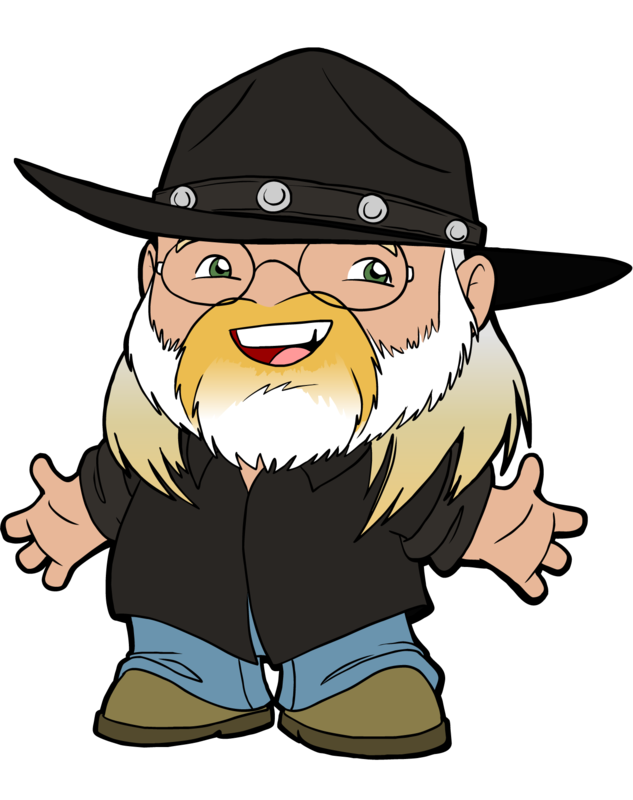 Each episode has its small mystery or adventure, but the focus is mostly on introducing a new place or historical figure. 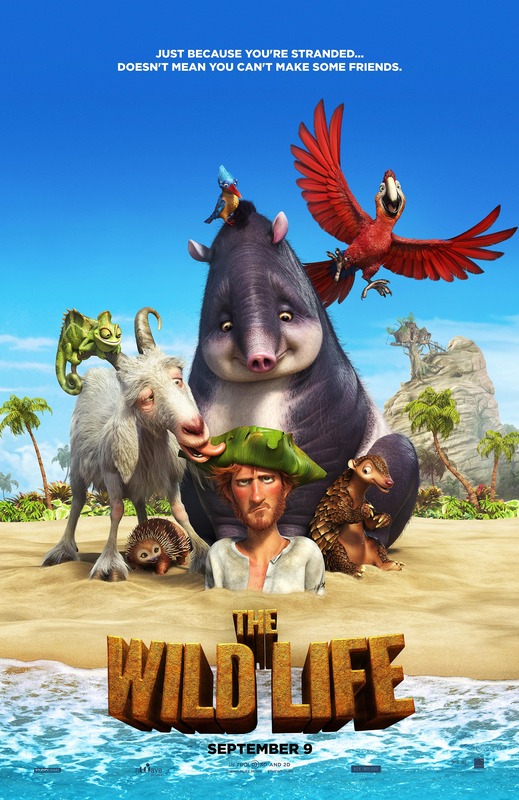 It's entertainingly educational; it's just not thrilling in the way that Indiana Jones is known for. 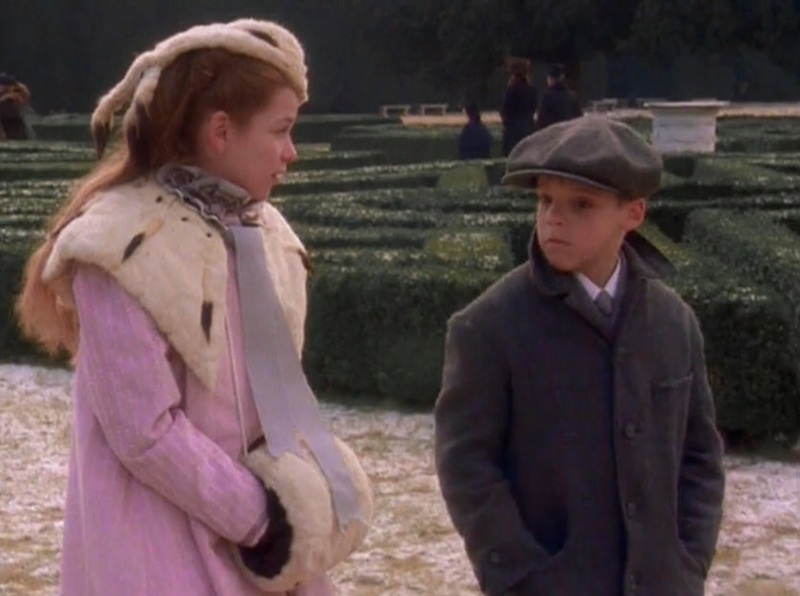 I'm partway into the 10-year-old's travels with his parents and governess as they follow Henry Sr on a lecture tour. We've been to three different parts of Africa, and a few places in Europe (Paris, Vienna, and Florence, so far). Highlights include Lukas Haas as Norman Rockwell, Danny Webb (Henry V) as Picasso, and Max Von Sydow as Freud. 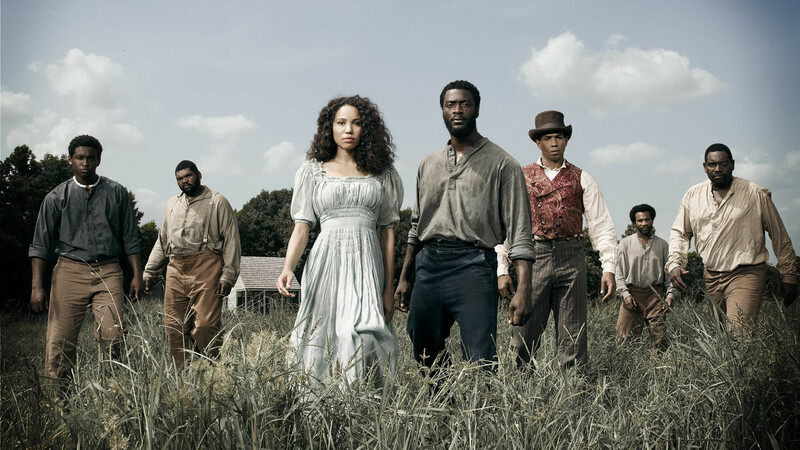 Finally, I'm about halfway through the first season of Underground and am loving the show. It starts off as sort of a disturbing, Southern version of Downton Abbey. It never focuses long on the owners of the Macon plantation (which is good, because they're horrible), but there's instead a stark contrast between the lives of the house slaves and the field slaves. 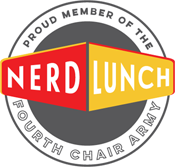 Neither group is well off, but they have different challenges that are fascinating to learn and think about. Mixed into that story is another one about John Hawkes, the brother of the plantation's owner Tom. Both brothers are from the north, but where Tom has become a slave owner, John very strongly believes in abolition. So he and his wife Elizabeth consider becoming a part of the Underground Railroad and have to weigh the costs of participating in an illegal, but morally right endeavor. Very quickly though, the focus of the show becomes an escape plan by a group of the Macon slaves. It's led by Noah, who's tried to escape once before, but managed to hide the fact even though he was caught. Smart guy and Aldis Hodge is absolutely captivating in the part. The rest of the group comes from a mixture of people hand-picked by Noah for their talents and/or abilities to get things that the group will need. And not all of them have the group's best interests at heart. Once they run, the show takes on a Walking Dead feel with slave hunters standing in for zombies. It's a brilliant show that constantly changes the way it tells its story so I'm always guessing and always intrigued. As I try and make another go of this "7 Days in May" feature, one of the things I wanna do each week is share a song that's making me happy. This is one of my favorites from last year. It's rowdy, folky, and has hand claps. I'm a total sucker for hand claps. Happy Birthday, Mystery Movie Night! 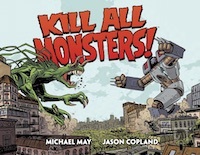 The Kill All Monsters Omnibus will be here soon!